I'm slowly getting used to iTerm and macOS, again. One of the first things I had to do, after installing Homebrew and iTerm, was figure out how to get normal navigation between words on the shell in iTerm. Turns out there's a sane default now. 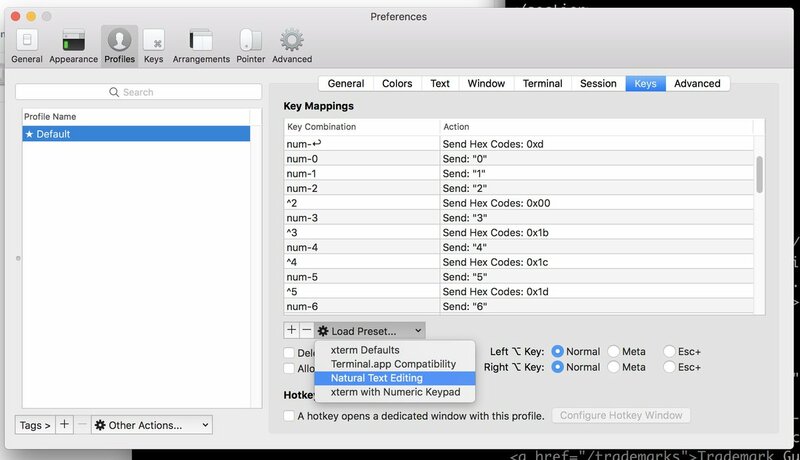 Open up iTerm preferences and choose "Natural Text Editing" in the Profiles -> Keys -> Key Mappings preferences. Why isn't this a default?